The town's main street, Boroughgate, has been described as one of the finest in England. An avenue of mature lime trees, planted in the 1870s, is flanked by well-kept properties dating from the 17th to the early 20th Century. 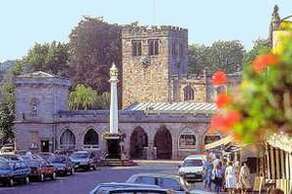 The Moot Hall stands in the lower market area and is still used for council meetings. Though much altered, a plaque above the door is dated 1596, an indication of the age of the building. 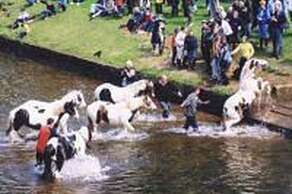 The biggest gipsy gathering in Britain, the Appleby Horse Fair takes place here during June. The second Wednesday in June is the official date but the travelling people often arrive well before then to give the town a unique and colourful atmosphere. 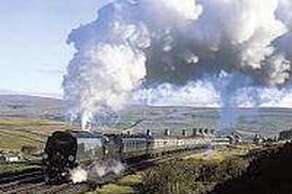 The scenic Settle-Carlisle railway passes through the town, and is a popular way for travellers to visit the border city of Carlisle. Although Appleby serves as a holiday destination in its own right, with easy access to the A66 it is ideally placed as a base from which to explore the rest of the Eden Valley. For gardeners, the National Trust's Acorn Bank Garden is a short drive away, and there are many local garden centres, well recommended for its many different plants is Larch Cottage Nursery at Hackthorpe. 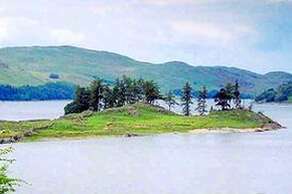 A little way further and you can be in the Yorkshire Dales, The Pennines and Hadrian's Wall country or the Lake District.